Since 2015, the TU Delft has been conducting research and education in The Hague; city of peace, justice and security. A student body of international master students study Engineering and Policy Analysis, and research groups working on the intersection of ethics, social science, computer science and engineering together engage with societal ‘Grand Challenges’. Outcomes of simulations, exploratory modeling and advanced decision support, to help us to justify shared policies and policy based interventions. On our high tech campus of Delft in The Hague, policy and decision makers work with Delft staff and students in collaborative settings. In this way Delft contributes to innovation and high entrepreneurship for peace and global justice, becoming a crucial part of the eco-system of The Hague. 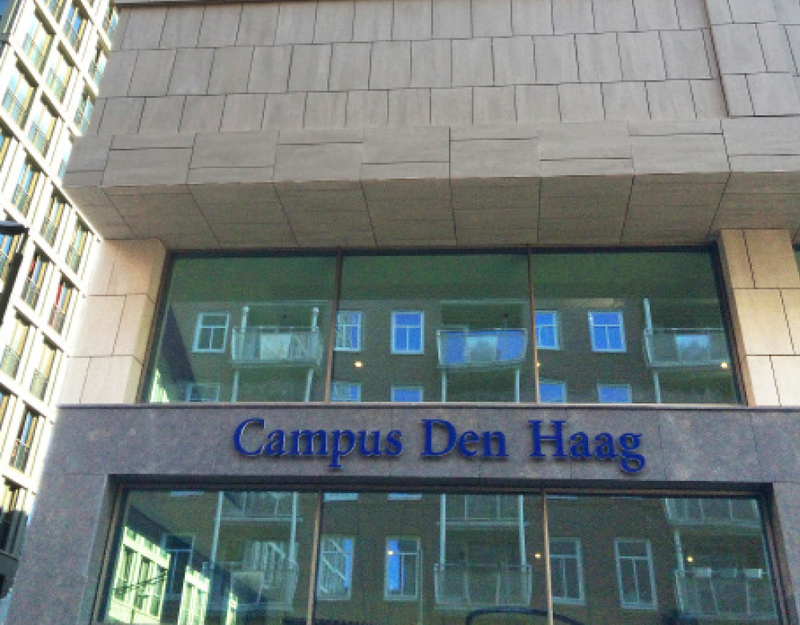 Any degree programmes taught in The Hague will still be true Delft programmes. “It will not become a Hague programme. Think of it as Delft meets The Hague: Delft will capitalise on the opportunities offered by The Hague and will give something in return in the shape of its students and staff. It's important that the students on our Hague campus feel connected with TU Delft. We will encourage this by organising activities on campus and appointing supervisors from Delft, for example. After all, most students prefer to graduate from TU Delft. You can see the practical side everywhere you look, which means that we can concentrate on theory as well as practice. There are countless opportunities for new, exciting, teaching formats. Take the real-life cases coming directly from the work floor, supervision from professionals in the field or topical interest lectures. We can also bring simulation and gaming activities with us to The Hague and our brilliant, internationally oriented students can take part in think tanks, or get involved in (or even organise) social debates.